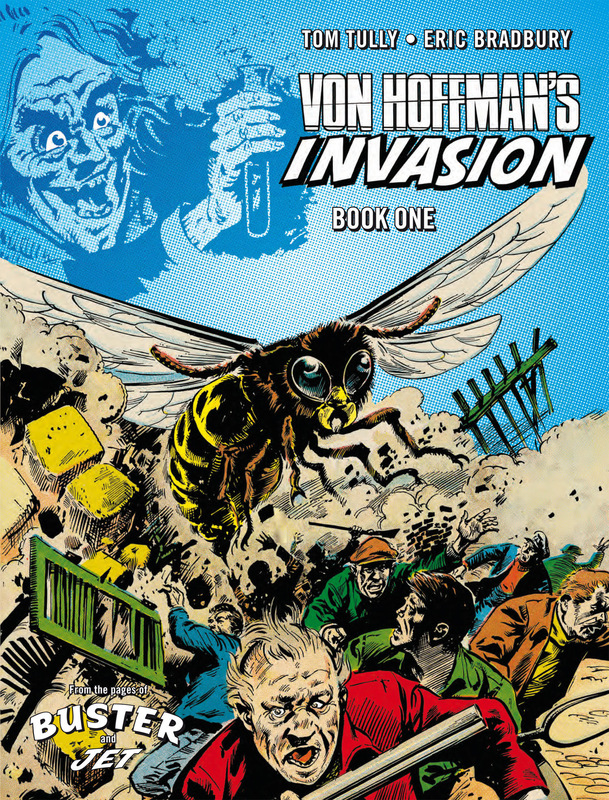 Von Hoffman’s Invasion is possibly one of the weirdest, most madcap series British comics has ever come up with – a kind of 1970s British kaiju in a post-war landscape, mixed with genuine peril and funny capers. A slice of utterly bonkers classic comics from the heyday of the British weekly paper industry – it has to be read to be believed! Two plucky young boys are all that’s stopping a genius Nazi scientist’s plans to use giant creatures to attack Britain’s village fêtes and national monuments in revenge for World War Two?!? !